Authors: Christopher J. Manser, Boris T. Gänsicke, Siegfried Eggl, et al. Nothing lasts forever. A statement as equally applicable throughout the Cosmos as it is for more earthly matters. Stars – like people – are born, age and eventually die, and in doing so they seed the Universe with the building blocks for the next generation of stars and planets. The lifetime and ultimate fate of a star once it exhausts its supply of fuel and expands to become a red giant, depends on how much mass it started out with. Very high mass stars burn bright, but burn brief, perishing in what is surely one of nature’s most awesome and spectacular displays: a supernova explosion. Less massive stars, like the Sun, eventually shed their outer layers to form a striking and graceful planetary nebula, leaving behind only their hot, inert cores: a white dwarf. All that remains of the once bright star. Figure 1: A planetary fragment orbits the white dwarf SDSS J122859.93+104032.9, leaving a tail of gas in its wake. Image credit: University of Warwick/Mark Garlick. A white dwarf is extremely dense. Its mass is comparable to the mass of the Sun, but squeezed into a volume not much larger than that of the Earth. This concentration of mass produces an intense gravitational field capable of ripping apart any surviving planets that stray too close. White dwarfs represent the most common end point for the majority of stars (about 97%) in the Milky Way. Since a white dwarf no longer generates any energy through nuclear fusion it gradually cools over immense timescales, eventually fading into obscurity. But what happens to the remaining planets in these systems? Can they survive the death of their host stars? A number of white dwarf systems have been observed to host compact dust discs which are believed to be the tidally disrupted remains of planetary systems. SDSS J122859.93+104032.9 is a white dwarf about 410 light years distant from the Earth, with a mass of about 70% that of the Sun. It is notable as one of only a small number known to be surrounded by a disc of both debris and gas. A team of astronomers led by Christopher Manser of the University of Warwick observed SDSS J122859.93+104032.9 using the world’s largest single-aperture optical telescope, the 10.4-meter Gran Telescopio Canarias on the island of La Palma in Spain’s Canary Islands. The team analysed the composition of the gaseous disc by splitting the light received from the white dwarf into its spectrum. Previous observations had already revealed the presence of double-peaked emission lines in the spectrum, produced as a result of rotation in a flat disc; as the disc rotates, part of it moves away from us resulting in red-shifted emission while part of it moves towards us resulting in blue-shifted emission. The team was searching for additional variability in the shape of these emission lines which might provide clues about the physical processes taking place within the disc. Instead of random fluctuations, the researchers found a periodic variation (~3%) in the strength and shape of the calcium emission lines, with the variable emission alternating from boosting the red-shifted peak to the blue-shifted peak with a period of about two hours. 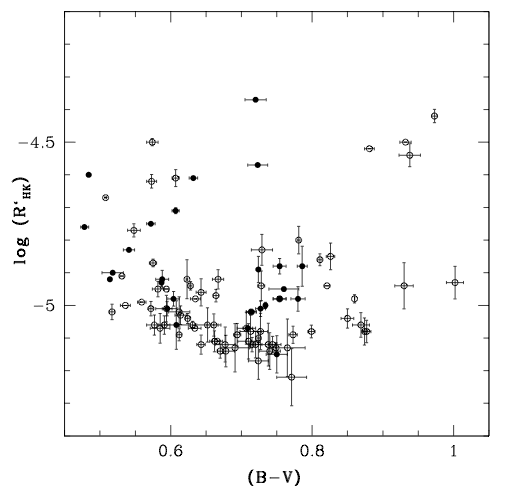 Figure 2: A phase-folded trailed spectrogram showing the Ca II emission line profiles in SDSS J1228+1040. A-C shows observation taken over two nights in 2017 and D-F shows observations taken over three nights in 2018. A and D show the averaged and normalised spectrum of the calcium triplet. B and E show the trailed spectrogram phase-folded with a period of 123.4 minutes. C and F show the trailed spectrogram minus the average emission showing the periodic variation in flux and wavelength of all three components of the triplet. Figure 1 in the paper. The astronomers suggest a number of explanations for this variable emission but conclude that a ring of gas streaming from a planetesimal orbiting within the disc is the most plausible. However, questions remain about the exact source of the gas. The most likely explanations are that the gas is either evaporating from the surface of the planetesimal or generated from collisions involving the planetesimal and debris disc. With a period of only two hours, the planetesimal is located very close to the white dwarf, deep within the gravitational well and therefore must be very dense and/or have high internal strength to prevent it from being torn apart by the enormous gravitational forces. 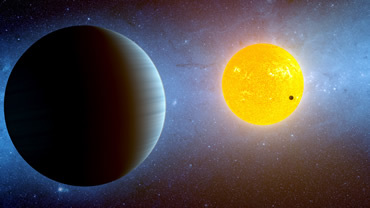 The researchers propose that it is likely composed of heavy metals such as iron and nickel, a fragment of the core of a larger rocky planet that had its outer layers stripped away by tidal forces. Estimates put the planetesimal as at least a few kilometers in size but could potentially be as large as a few hundred kilometers. Figure 3: An illustration of the structure of the disc in SDSS J1228+1040. The top panel shows a top-down view indicating the location and direction of the planetesimal’s orbit. The grey curved line shows the extent of the stream of gas generating the additional emission. The lower panel shows the system at an inclination of 73 degrees as it would be seen from Earth. Figure 3 in the paper. This object is only the second solid planetesimal to be found in such a close in orbit around a white dwarf, with the first being discovered through transit features in the light curve of WD 1145+017 in 2015. The team plans to study other white dwarf systems which have similar gaseous debris discs in the hope of detecting additional planetesimals. Whilst we don’t know for sure what will happen to our solar system after the Sun dies, studies such as these are helping to answer questions about the origin, evolution and ultimate fate of planetary systems like our own.